A few weeks ago, Lydia Lozano, the Project Coordinator for NCI-Mexico, visited our staff in Ecuador to learn from their work with local communities and governments. Because both Ecuador and Mexico are home to unique but severely threatened dry forest ecosystems, we are learning from our successes to strengthen our work. What do you do for NCI-Mexico? I coordinate the conservation activities and management of the Monte Mojino Reserve, and work ​​in our office in Alamos disseminating information and providing environmental education to community members. Can you tell me about the reserve? NCI’s Monte Mojino Reserve protects a pristine area of beautiful but endangered tropical deciduous forest. It is the northernmost area of such forest in the Americas. 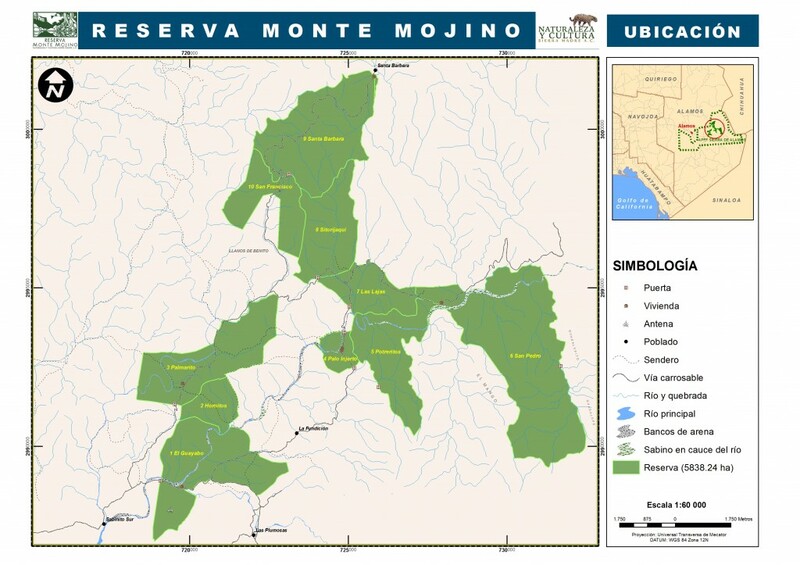 Currently our reserve is 14,500 acres, and is located in the state of Sonora in northwestern Mexico within the Protected Wildlife Area Sierra de Alamos – Río Cuchujaqui, a federal reserve that covers 232,225 acres. However, this federal reserve is not subject to regulation, especially of cattle grazing. That’s why NCI’s Monte Mojino Reserve is focused on preservation, conservation and a higher level of management. Our goal is to expand the reserve to 25,000 acres by purchasing private lands, and strengthen conservation activities throughout the federal reserve. What struck you about the programs of NCI-Ecuador? I visited many of NCI’s reserves, but the Bosque Seco or dry forest program was the most similar to our program in Mexico in terms of biodiversity and the problems we face. I loved talking to members of the Association of Palo Santo project, which helps build sustainable community businesses by using the oil of the palo santo tree. I was told about all of the difficulties they had in the beginning, which is precisely the state in which we are in, building relationships with the community. They told me how to build trust, what we should or should not do. Now, the communities in Ecuador see NCI as a partner in everything, and feel supported, and many people want to join the Association. So, coming to Ecuador has been helpful? Of course, because I learned about everything NCI-Ecuador has done so we can apply lessons here in Mexico. In conservation, it is important to standardize things by tuning in to what is being done successfully elsewhere. If not, we would be running completely isolated programs. NCI’s programs in Ecuador, Mexico and Peru are conserving many of the same ecosystems. NCI’s conservation efforts take a very comprehensive approach. What kinds of species are you protecting? We have some great species here, from Military Macaws to Jaguars. We also have beautiful trees species, like the guayacán (Tabebuia chrysantha) that we share with Ecuador and the Tabebuia palmeri, which we call amapa. We also have a a bird in Mexico called chorlito-plover (Charadrius collaris), which I spotted in NCI’s Cazaderos Reserve in Zapotillo, Ecuador. Many migratory species, like songbirds, also pass through northwestern Mexico. Pumas and jaguars also live here, and we have the same conflicts between these species and livestock that you have in Ecuador. 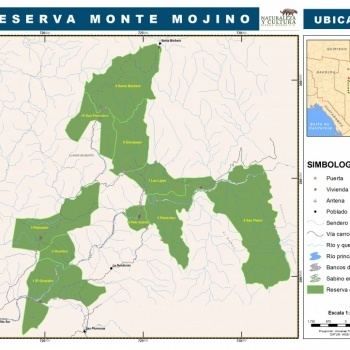 What do NCI’s reserves in Ecuador have in common with Monte Mojino? Just like we do in Mexico, the San Francisco Science Station and Laipuna Reserve have partnered with different universities for research purposes. 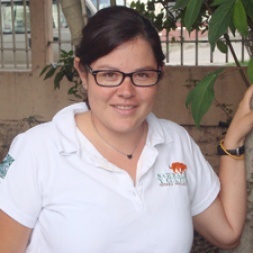 San Diego Zoo Global is conducting research alongside us in Alamos as well as in Ecuador. Last year we signed an agreement with the Technological Institute of Sonora, and already they are collaborating with us to study the carbon, nitrogen, and water quality. We are now seeking funds to create a field laboratory and research station. What will be the next step in Mexico? 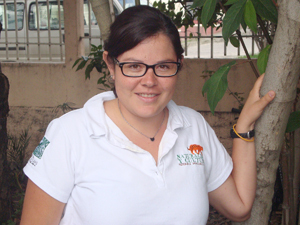 I started by guiding our office through working with the Mexican government on conservation, because I had not worked outside of Mexico. But, seeing the path of Nature and Culture in Ecuador has given me the light to know where to go from here. Since I’ve come here I’ve had quite a few ideas about projects we could replicate in Mexico by adapting them to our unique environment. Translated from an original publication in the regional Loja newspaper. Interview by José Rodrigo Sánchez, NCI-Ecuador.